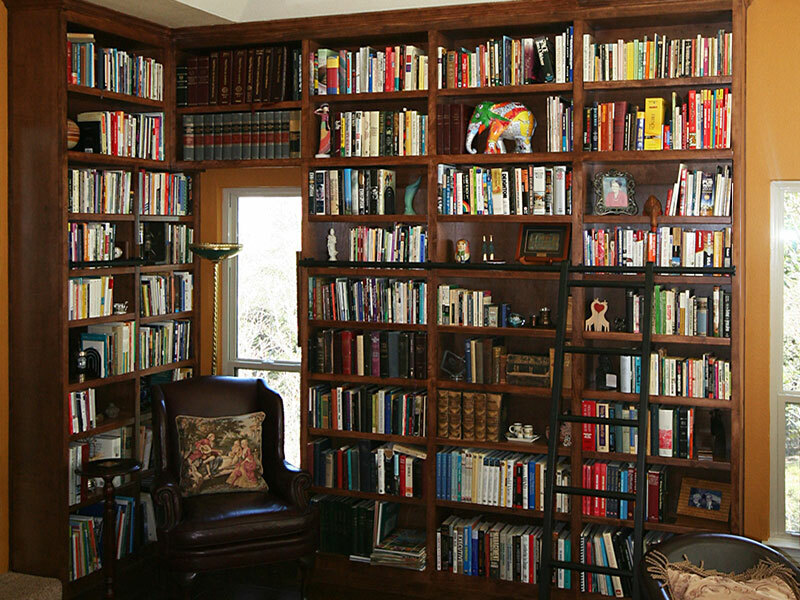 A built-in book case optimizes space and enhances the feeling in a sun room, den or study. 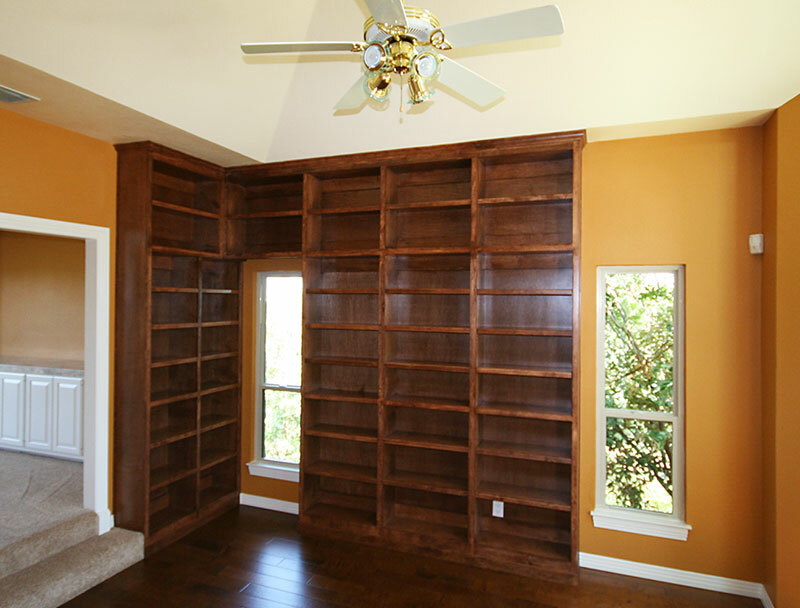 This custom made floor-to-ceiling maple book case includes adjustable shelving and crown molding. The maple wood was stained to blend with surrounding furniture in the study.